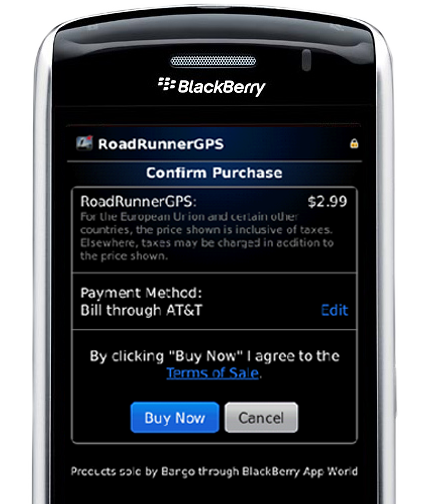 Recent numbers published by a developer selling on the BlackBerry App Store show a straight line, month on month increase in the percentage of revenue contributed from carrier-billed payments. It’s clear that when available, customers like to charge mobile-purchased, digital content and services, to their phone bills. As blogged recently by Bango, this is great news for carrier billing, which in recent years looked like it might be pushed into to the wilderness by iTunes, PayPal and other internet payment methods. Yet, according to a recent report by Innovation Observatory, carriers still have to raise their game to keep up with the extraordinary pace of innovation in digital content and services. IO analysed how effectively carriers are updating the payment processing capabilities to support the range of products and services that are being delivered to mobile devices. The report also encourages operators to focus on the ecosystem rather than ‘merchant acquisition’ as the go to market strategy for payment services. Operators that have multi-market presence can bring efficiencies to bear by providing a single point of technical integration for ecosystem players. It’s clear that billing and payment are hard to do well. These essential services oil the machinery of mobile commerce and determine how successfully the commerce opportunity can grow. Bango has said this before – carriers continue to have a key role to play, but need to think strategically, not just operationally, about the opportunity. This entry was posted in BlackBerry, carrier billing, Mobile payments and tagged mobile billing, mobile content, mobile operators, mobile payments. Bookmark the permalink.